Japanese Prime Minister Shinzo Abe said on Tuesday that the introduction of casino resorts in the country would help advance Japan’s status as a “tourism-oriented” country. 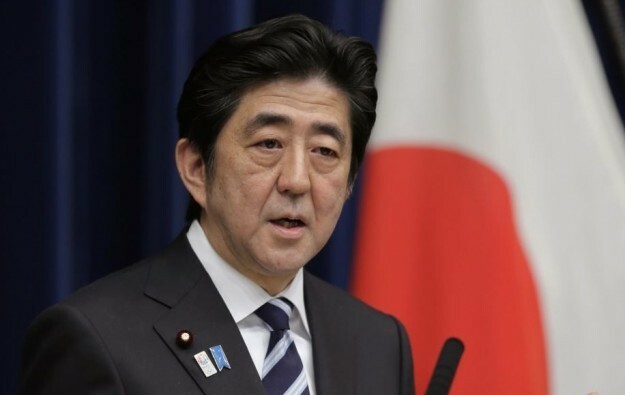 Mr Abe (pictured in a file photo) made the remarks in a speech to a plenary gathering of the House of Representatives, the parliament’s lower chamber, according to GGRAsia’s Japan correspondent. Japan’s lower parliamentary chamber started on Tuesday discussing the Integrated Resorts (IR) Implementation Bill, which sets the broad regulatory framework for the establishment of a casino industry in the country. The bill was submitted to Japan’s parliament, a body known as the Diet, on April 27. Mr Abe’s government had said it expected the IR Implementation Bill to pass the Diet during the ongoing session through June 20. In his address to the chamber on Tuesday, Mr Abe said casino resorts could help Japan attract tourists from different parts of the world, while making those visitors stay longer in the country, according our correspondent. The Prime Minister said additionally that the government would implement measures to address concerns regarding gambling addiction, in order to minimise any eventual negative impact on society. Japan’s governing parties and the Japan Restoration Party – a numerically small in terms of parliamentary seats but high-profile opposition grouping – jointly submitted last week a bill to the country’s parliament on the vexed issue of gambling addiction counter measures. Keiichi Ishii, Japan’s minister of Land, Infrastructure, Transport and Tourism, was said to have also attended Tuesday’s plenary meeting of the parliament’s lower chamber. Both government officials answered questions from the members of the House of Representatives. The parliamentary membership of Japan’s two governing parties – the Liberal Democratic Party (LDP) and its smaller partner Komeito – expects the IR Implementation Bill to pass the Diet’s lower chamber by early June. The bill will then move to the upper house – the House of Councillors – for further discussion and voting. It is not guaranteed however that the bill can be passed through both houses of the Diet before the official ending on June 20 of the current parliamentary session. Analysts at investment bank Morgan Stanley said in a note last week – following the Japan Gaming Congress in Tokyo – that Japan’s ruling and opposition parties appear “more aligned”, hoping to pass the IR Implementation Bill and problem gambling bill “before June 20”. “But we’re concerned about what comes after. New regulations could inhibit large-scale capital expenditure and opening of integrated resorts looks far away,” said the Morgan Stanley team. It added: “We now think that the first integrated resort will not be ready till 2025”.